You’ll be over the moon to know that Pilates classes are also really exciting! Try it then try them all over again! 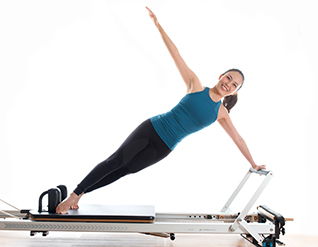 Suggested for students who have practiced more than 10 Pilates Reformer classes. Foundation class orients students in a safe operation of the reformers used in group classes and introduces them to a systematic order and choreography of the exercises. 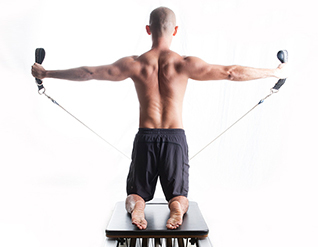 Students will learn 5 important principles of Pilates on Reformer to prepare themselves for reform classes. Minimum 1 session needed.uggested for students who have practiced more than 10 Pilates Reformer classes. Note: Students new to Pilates Reformer need to attend minimum 1 session of Foundation class. A Fun, moderate intensity class that teaches the fundamental principles of Pilates with an emphasis on toning up your core "powerhouse" and giving your arms definition. A Fun, moderate intensity class that teaches the fundamental principles of Pilates with a core focus of lower body workout. A total body workout to shape and tone your body, making it long & lean. Different exercises are conducted in each class to make it fun & exciting. A higher intensity class that uses 2 sets of each exercise to improve endurance and effectively strengthen, tone , shape of your abs & arms. A higher intensity class that uses 2 sets of each exercise to improve endurance and effectively strengthen the lower body. A dynamic cardiovascular workout incorporating the jumpboard to keep your heart rate up. A fat-burning class with a difference! A dynamic high intensity interval training workout combining dynamic floor-based exercises with reformer work to tone and shape the entire workout. The perfect workout to lose weight! A workout combining the use of accessories such as toning balls and resistance bands with reformer exercises to shape the entire body and improve coordination. Foundation Class (30 min): Foundation class orients students in a safe operation of the reformers used in group classes and introduces them to a systematic order and choreography of the exercises. Students will learn 5 important principles of Pilates on Reformer to prepare themselves for reform classes. Minimum 1 session needed.